In the journey through life, it is the will of the heart that decides our destiny, for to achieve our goals, we must not only act, but also dream . . . not only plan, but also believe. No other experience can be as fascinating and moving as an encounter with dolphins. Their self-confidence, curiosity and high tolerance of human beings is palpable and moves us deeply in our hearts. If we are scanned by a dolphin, we cannot hide anything. Dolphins are now globally threatened, whether through fishing, tourism, underwater noise and marine pollution. Despite the fascination people have for these animals, we humans continue to decimate their stocks, be this for profit or through ignorance. Research, protection and above all developing an understanding or these wonderful creatures is desperately needed. 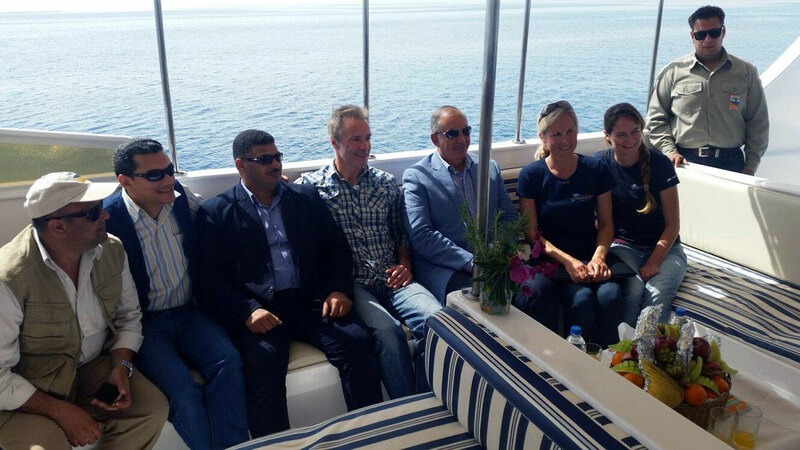 The Dolphin Watch Alliance only supports and endorses projects and their employees who are known to us personally. Because of the use of valuable background information and checks we can be sure of their appropriate of funds. We are proud to announce that the Red Sea dolphins are stars in the upcoming BBC Blue Planet II documentary movie. 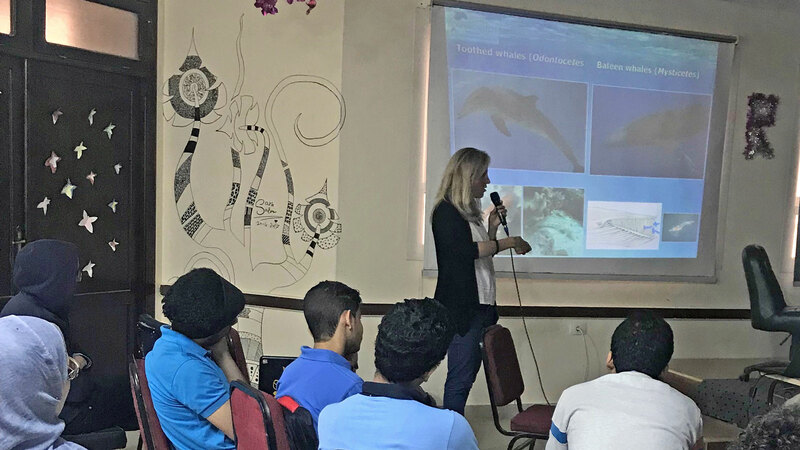 Dolphin Watch Alliances Angela Ziltener was heavily involved in the making of the movie on site in the Egyptian Red Sea. The latest emission of the ZDF wildlife documentary, “Im Einsatz für..." with Hannes Jaenicke, centres on the theme of dolphins. 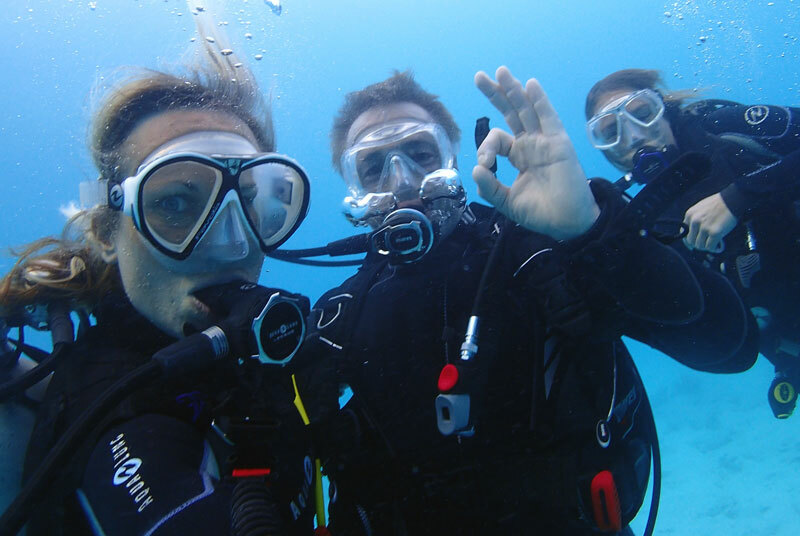 In the Red Sea surrounding Hurghada, Hannes met up with our researchers Angela Ziltener and Sina Kreicker. 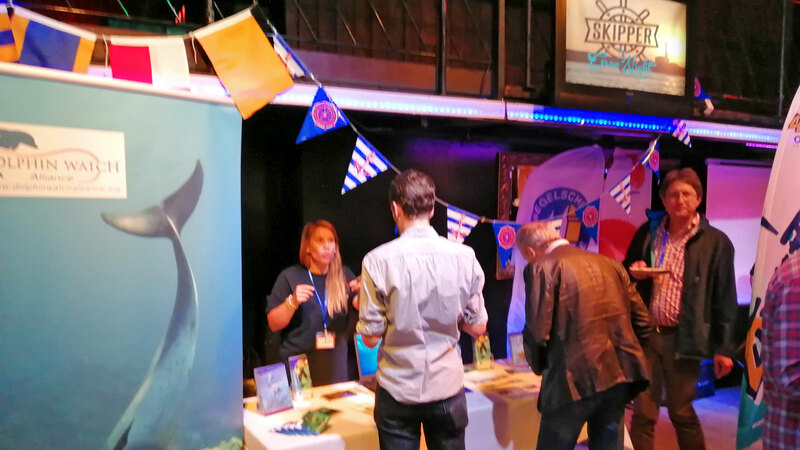 There, he informed himself about our projects which aim to research and protect dolphins. “I have been privately active in protecting dolphins for some time now. So making this film is and has been a big deal for me. 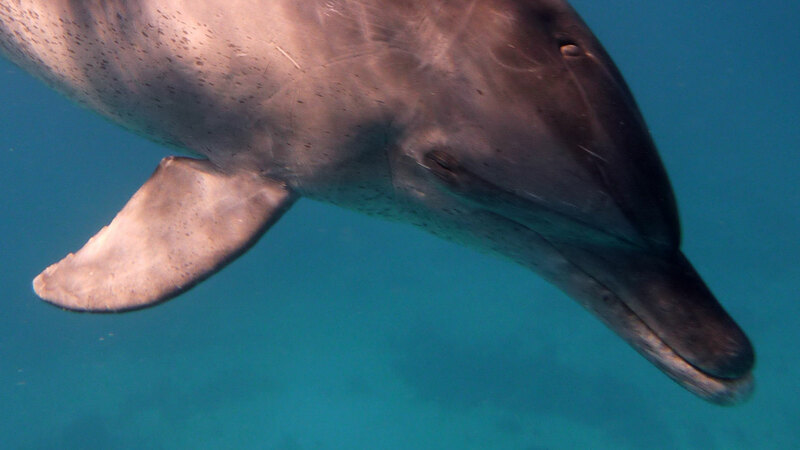 At least a quarter of all dolphin species are at present threatened by extinction. And since one cannot always only act when the situation gets absolutely critical, I want to do something for this amazing species before it is too late!”, Jaenikke wrote online in his filming log book. Hypotheses for the functional role of self-rubbing or object rubbing in odontocetes include hygiene (e.g. ectoparasite removal), sensual pleasure, play and socialisation. Self-rubbing has only been described in a few odontocetes, . 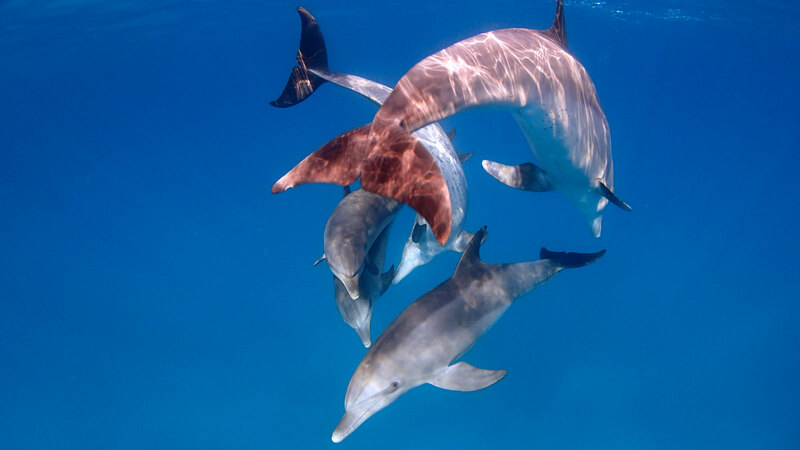 . .
Mating tactics have been studied more in male than female dolphins. 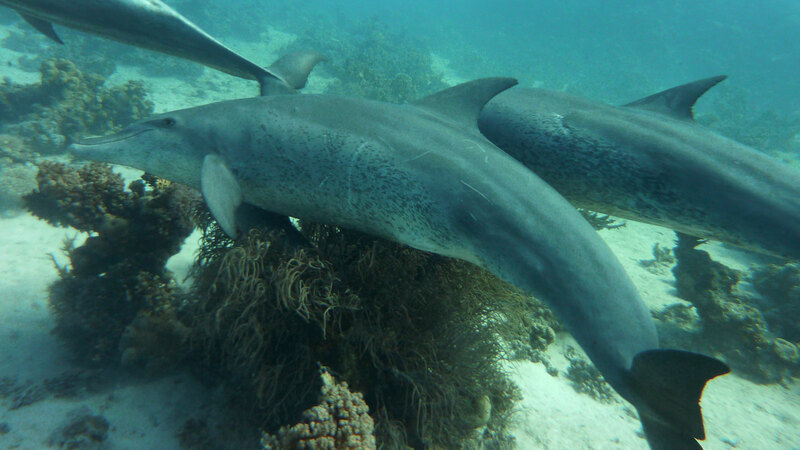 In some populations of Indo-Pacific bottlenose dolphins (Tursiops aduncus), males are aggressive and females may have limited control of . . . While all animal studied to date sleep, cetaceans are among the few that engage in the unusual practice of unihemispherical sleep, where only half of the brain displays typical signs of sleeping. Certain behaviours, such as circular swimming, have . . .
A large preliminary aim has been achieved! 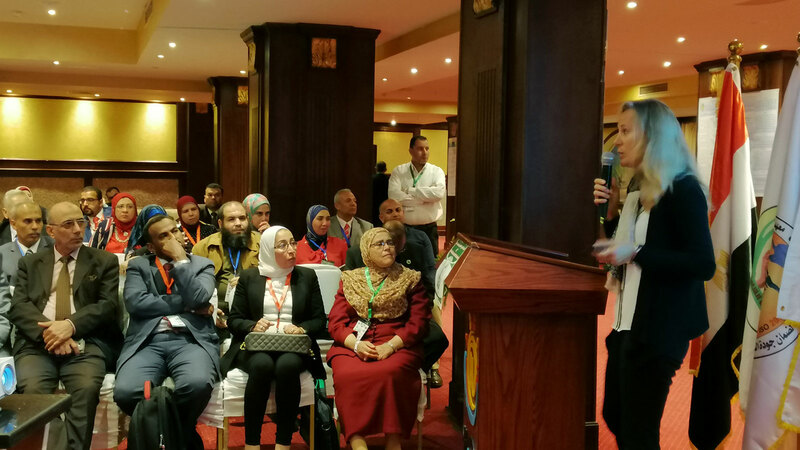 The Red Sea Governor has agreed to put the Code of Conduct and particular protection zones in the Northern Red Sea of Hurghada, Egypt. These will now be implemented during the summer and will be controlled by . . .